Return of the KFC Popcorn Chicken! Remember a childhood favourite? 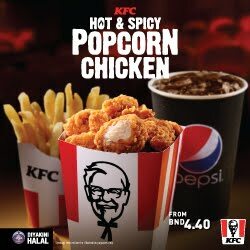 The KFC Popcorn Chicken is making a comeback due to popular demand but this time it’s hotter and spicier than ever! Introducing the Hot and Spicy Popcorn Chicken! When I was invited to relive my fond memories of the popcorn chicken ~~ I was pretty excited to finally get my hands on them! Members of the media and fellow foodies enjoying the popcorn chicken! Made with 100% real tender, juicy chicken, the KFC Popcorn Chicken definitely looks bigger than before! Every ‘pop’ offers a satisfying crunch with a Hot & Spicy kick, giving you a guaranteed indulgence. Its portable format not only makes for a great on-the-go snack, it also works perfectly as an add-on to complete any of your favourite KFC meals! Love that it has a spicier kick to it than the previous popcorn chicken I remembered and it’s slightly bigger in size too! Then use it as a dip for the popcorn chicken and fries ~~ OMG OMG OMG ~~~ Heaven!!!! Add in some good old fashioned whipped potatoes ~~~ mmmm ~~~ maybe I should dip the popcorn chicken on these too!!! Wash it down with some good old fashioned milo ping ~~ or Pepsi ~~ ahhhh your choice! We also got to try out these delicious OREO Ice Cream available at KFC! Seriously good! You simply must try it! As always ~~~ take a selfie before indulging in this delicious ice cream! Seoul Food Guide: 45 best restaurants and cafes in Seoul, South Korea! Kpop, Korean Drama and Movies have become a big part of our lives, introducing us to their culture and cuisine. Tourism has been booming for South Korea for the past 10 years and it’s no surprise that it’s become a top food destination in Asia. When I visited Seoul for our honeymoon in Dec 2016, I was there for two weeks, trying out lots of Korean Street Food, their restaurants as well as the cafes. 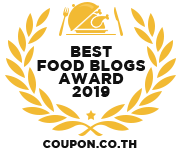 I did quite a lot of research online as well as recommendations from my Korean friends before going there and tried my best to sample as much as possible so I can write the Seoul Food Guide: The best places to eat in Seoul! This guide will include mostly places where locals recommend – the local gems as well as some good popular tourist favourites which I’ve tried and enjoyed. It was no surprise to me when I posted an Instagram story on what is the next city I should write about and Seoul was the overwhelming choice, beating even Tokyo! This Seoul Food Guide will share what are my favourite places to eat in Seoul and what are the must eat Korean delicacies! I personally tasted the food and will recommend you some of the best Korean food you can eat! It will be a good mix of the popular tourist food spots as well as hidden gems recommended by the locals! Where is a good location to stay in Seoul? If you want to choose a location to stay in Seoul, my recommendation is to choose any hotel or apartment that is within 5-10 minutes walking distance to Dongdaemun History & Culture Park Station. It is a very central location and it has 3 main subway Line 2, Line 4 and Line 5 passing through it. Since subways are the most convenient and cheapest way of getting around Seoul, staying near this station will make your travel very convenient! This area should be slightly more affordable than popular places like Myeongdong, Hongdae, Jung-gu, Jongno-gu, and Gangnam-gu. As long as you pick one of these locations, it should be fine. Another good reason to stay in Dongdaemun is the abundance of 24 hour restaurants and shops that are located in Dongdaemun as it is a famous location for midnight shopping. After a whole day’s tour and sight seeing, after putting your stuff at your hotel, the night is still young in Dongdaemun and you will never be short of places to have supper and shop even after midnight! The airport is about 45 minutes to one hours++ ride depending if you take the express or the normal metro. It’s very convenient to get the Airport express ticket! Just show the QR code from mobile or printed ticket to the counter. The staff will ask which timing you wanna take the train and you are ready to go! I personally would get the Airport express ticket online as there’s a discount. Click here to book it online for your convenience. Get any of these at any GS25, Family Mart, and MINISTOP convenience stores at the arrival hall of Incheon Airport while collecting your data sim. T-Money is a convenient card for paying for subway and convenience stores. I had a funny expensive lesson of topping up 40 USD and dropped my card on the subway – so be sure to hold on tight to them. I will list what are the nearest subway stations and their exits to the restaurants and markets mentioned in this guide. Google Maps will be your best friend – I find the easiest way is to copy the English address and paste onto Google Maps to search instead of the names of the restaurants. Taking the subway is very easy in Seoul compared to other cities – it’s pretty affordable too as taxis and uber is not cheap here as with typical metropolitan cities! The most popular place to change your money is actually conveniently located around Myeong-dong! Fortunately it’s already geotagged and you can just click on the link and follow the walking instructions to here! https://goo.gl/maps/AG4m2dU8ysR2. Look out for the one in the middle of this picture I provided. I found this place to have very good rates compared to other money exchange and the location is super convenient. Do note that bigger notes sometimes get better rates! Things to do before your trip to Seoul! Get your data sim and book your sight-seeing tours online BEFORE your Seoul Trip to save money! It was surprisingly very easy to book the travel essentials online using websites. I managed to grab my unlimited data sim, and book day tours like Kdrama filming site tours to a few famous OOTD spots like Nami Island, ski trips or even visiting the borders of North Korea/South Korea (DMZ Tour) from Trazy.com. I personally find the unlimited data sim to be very useful for my updating of IG stories and the tours to be very well organized during my honeymoon in Seoul. Click here or on the picture to grab your Unlimited 4G Data Sim from this link. After much research, this is the best one I found and I purchased it online, print out the voucher and picked it up at the airport. Nami Island Day Tour Specials Here’s a list of Nami Island Tours that you can choose from. My wife chose a package with Strawberry Picking, Petite France and Garden of Morning Calm but you can choose yours from there. They are very clear where to meet and pick you up as well as give a detailed itinerary. We enjoyed this trip very much. Click here or on the picture to choose your Nami Island Tour. Located close to the city centre, Lotte World provides visitors with a unique mix of classic theme park rides combined with other indoor amusements. Test your bravery on the park's popular thrillers, Gyro Drop and Gyro Swing, with drops of up to 70 meters! Make a splash on the Flume ride then visit the Folk Museum to discover more about Korean history, dating back through 5000 years. Taste international cuisine, visit the park's dazzling magic castle, skate at the indoor ice rink and watch over 200 performers singing and dancing in the World Carnival Parade. Explore the underwater world at the Lotte World Aquarium with the discount combo ticket to visit on the same day. Click here or the image to book your Lotte World Pass! Enjoy an adrenaline fuelled day at Everland – one of South Korea's biggest and most exhilarating amusement parks. Twist and turn down the world's steepest wooden rollercoaster if you dare, and spend the afternoon enjoying other rides guaranteed to give you the ultimate full throttle amusement park experience. Ease down gently by strolling down the park's immaculately kept gardens and take in some of the park's parades and live music before heading back to the bright lights of Seoul. Click here or the picture to get 30 percent off your Everland Ticket! While Myeong-dong might be the popular market for street food – I have to say it was too touristy, crowded and actually not as good as the other markets. Personally, I prefer Namdaemun Market more than Myeong-dong as the street food is better and since it’s the largest wholesale market, there’s more things to shop here! The choices are seriously good and there’s a lot of different types of hotteok (pressed caramelized peanut pancakes) to enjoy here ranging from those pan fried with lots of oil, to the healthier ones using an iron mold to bake. I think we had hotteok from like six different stalls here! Korean Egg Bread (Gyeran Bbang) is a mini bread baked with an egg inside but it actually tastes more like an egg muffin to me. A good one is supposed to have custardy yolks! Grab one when they just opened so there’s a higher chance you get a freshly baked one! I find they tend to be overcooked after leaving it there for a while. I came across this fried bread stuffed with meat, vegetables and kimchi that was really good in one of the alleys. Be sure to look out for this stall! This might look like the similar method to cook hotteok but it’s actually thicker and stuffed with your choice of ingredients! This stall is near one of the station exits and you will see a queue. Very delicious as well! This fish paste reminds me of yong tau fu but what they did is put a sausage in between it to deep fry. A pretty yummy snack you should try in Namdaemun market! Of course – one simply does not say NO to Odeng!!! This is seriously one of my wife’s fav snack in Korea! Namdaemun has quite a few stalls specializing in buns and dumplings as well ~~ YUM! Around Namdaemun is this hidden gem of a restaurant that you must try for an authentic Korean food experience. Very good value for money! Look out for the signboard! My wife used to study in Seoul and she introduced me to the most affordable yet delicious Korean meal in Seoul. For only 4000 (4.7 SGD) won per person we got a hot bowl of Kalgutsu: soupy knife cut noodles, small bowl of Bibim Naeng Myun: spicy bean paste cold noodles, Doenjang-jjigae: fermented bean paste soup and a bowl of barley rice Bibimbap, and all the kimchi you can eat! What a bargain! Cheap compared to other places we've to in Seoul! Find this opposite a bun selling store around Namdaemun near the station. This is seriously one of the most affordable and delicious meals in Seoul! Gwangjang market has a special place in my heart as it is my favourite place for authentic Korean food. If you visit Seoul without visiting this market – you have commited a #foodcrime. 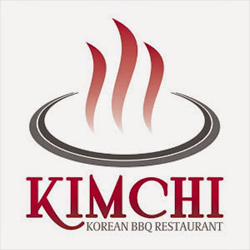 You will be spoiled for choice when you are here as there’s so much variety of freshly prepared food as well as famous Korean fermented seafood and kimchi! I would actually come here a few times just to fully savour the different types of food and maybe on the last day of my trip to buy lots of kimchi and fermented raw seafood here! There’s seriously so much stuff you can buy here. All these authentic Korean ingredients for you to enjoy when you are back home and missing Seoul! Korean hot peppers for making your own kimchi, Korean hot bean paste for your bibimbap, Korean Ginseng, fermented seafood like crabs or octopus and assorted types of kimchi using different vegetables! A foodie’s heaven! You will see stalls like this with tables and benches to sit right in front of all the food. As you can see it’s pretty crowded and if you come during peak hours, you are going to have a hard time finding your seats! Note that during winter time, some of the stalls even have heated seats! There’s a lot of stalls for our favourite Korean street food but I noticed this particular Nuna (or Anjunma if you are younger) sells a very good gimbap and tteokbokki! It’s thinner with less rice but the addition of perilla leaves make this really yummy! I urge you to be brave and try Sundae/Soondae (nope not the ice cream sundae) a type of Korean Blood Sausage that is made generally by boiling or steaming cow or pig's intestines that are stuffed with various ingredients consisting mainly of glutinous rice. It has a nice mochi like chewy texture and a strong taste. It’s a love it or hate it dish but I personally enjoy it very very much! Theres’s even a few sashimi stalls in Gwangjang market if you are in the mood for some! This anjunma is pretty famous in Gwangjang market for making toast! Look at that big chunk of butter she’s using! Seriously good eats! You will see quite a few stalls selling Kalgutsu, knife cut noodle stores and Mandu, Korean dumplings freshly made and served with piping hot soup! Awww yeah!!! Last but not least is this stall selling both raw beef tartare and hot spicy seafood soup! There’s sliced Korean pears with the raw beef to give it a lovely textural contrast and you can even order the freshly cut live octopus to this! The seafood soup is really a great combo with the raw beef and as you should order both! It can be pretty packed during peak hours in this stall, they even arranged seats outside so the customers can sit down to queue! There’s a few stalls to choose from so just use your gut feeling on this! Take subway line 1 to Jongno 5(o)-ga Station and go out exit 11. The Noryanjin Market is South Korea’s answer to Japan’s Tsukiji market. This place has a ton of fresh seafood especially their huge crabs when I was visiting. Note that there are Old Fish Market which is outdoors and New Market which is a building with restaurants on the first floor. I personally prefer the Old fish market which has more of a charm to it. You can even watch them slice the sashimi seafood and sold in platters here ~~ You will spend quite some time walking around admiring the choices of fresh seafood and you will need to use your bargaining skills to buy fresh produce from either the old or new market – then bring them to the first floor of the new market to choose a restaurant to cook for you. It’s an experience that you might find very exciting! There’s a more affordable place around Wolmido area which is near to Chinatown but most wouldn’t travel so far just for seafood. Your seafood spread at Noryanjin should look like this ~~ a good mix of fresh seafood, marinated seafood and cooked seafood served with gorgeous Korean side dishes (Banchan). This was from my Seafood Dinner at Wolmido. Do not be afraid to try live octopus ~~ the mouth feel of the suction is something unique to this dish. Be sure to chew properly before swallowing as you won’t want them to get stuck on your throat! Enjoy the sashimi Korean style ~~~ with perilla leaves and a bit of Korean spicy paste! Or lightly cook the sashimi using their hot kimchi broth that is cooked using the fish bones! It will give you a creamier mouth feel than the sashimi and flavoured by the spicy soup ~~ orgasmic! One of the most popular place to eat Jeonju Bibimbap happens to be in Gogung, which is recommended by many websites but I need to state that it will be pricier than most other places especially the ones at Gwangjang market but Gogung has a more comfortable setting, more choices and is a nice place to have Makgeolli (Korean Rice Wine). We ordered two types of Bibimbap and I have to say their salad with black sesame dressing is very good! This is a very pleasant drink to have ~~ must try when you are here. Get a feel of making your own Makgeolli Korean Rice Wine! This will be a great souvenir to bring back from Seoul and you’ll learn the secrets of Korean Rice Wine Making! Click here or the picture for more details! Korean BBQ is a good choice when it comes to dinner and is best enjoyed with soju or makgeolli! There are quite a few all you can eat BBQs all around Seoul and there are some with better quality cuts of meat for you to enjoy! It’s best to have around four people for this so we were lucky to have Ren Ching and Abby join us for one of the famous Korean BBQ places. The interesting thing about the famous Piggy Bank BBQ is that they use heated hot stones on top of hot burning charcoal to cook the meats. The meat was actually pre-cooked a little bit then added to the hot stones. They will then help you cut up the meat into slices as you enjoy it by wrapping them with the side dishes using the lettuce leaves. You can order from different choice cuts of beef or pork. BBQ is best enjoyed with soju or beer! Especially good during winter! Hongik University/Hondae Station exit 8. When I saw Maple Tree House, which have branches internationally, I recognized it and was skeptical whether I would like it but I decided to give it a try. We were pleasantly surprised and happy with the quality of the food and excellent service throughout the night! The staff were very attentive and grilled our meats for us ~~ and I like how it wasn’t smoky in Maple Tree House thanks to their better ventilation machines whereas the other Korean BBQ places will make you smelling like BBQ. Our jackets had that smell for the whole trip and it was nice to have BBQ without worrying about the BBQ smoke for a change! I know I might be playing the devil’s advocate here because I prefer the quality of the food and the overall service/ambience of this place over Piggy Bank BBQ but this is my personal opinion. I would rather pay more and not be covered in smoke for better BBQ meats in Maple Tree House. You can give them both a try and let me know if you agree with me. Maple Tree House has quite a few branches throughout Seoul so they are pretty easy and convenient to find. I went to the Itaewon branch and the staff spoke good English which made understanding which cuts of meat to order easier from their recommendations! You can check out other branches in Myeong-dong and Gangnam if you are nearby. One of the best Korean food to eat in Seoul has to be Chimaek, which is fried chicken and beer! The Koreans are definitely experts in fried chicken – super crispy and flavoursome that once you tried them you will be hooked! One issue I have with Korean Fried Chicken places is that they usually sell them in big portions – so it would be difficult to try as many types of fried chicken in one go! I noticed that lots of Koreans like to have chicken and beer with their co-workers as a bonding session! The popular ones here are BHC and Two Two Chicken (classic style fried chicken) and they both have their distinct characteristics. Personally I like BHC better because of their modern flavours such as cheese or spicy cheese but Two Two Chicken is a must try too! BHC Chicken or known as Better and Healthier Choice Chicken. Seriously though – I don’t understand why they are called Better and Healthier Choice Chicken as having fried chicken sprinkled with flavoured powder or Korean style sauces, while drinking beer is the furthest thing from being healthy but I love it here! If I live in Seoul, it would be very easy for me to get fat! You can basically go half and half flavours but I ordered something special on the menu: Spicy Cheese Powder Fried Chicken which I really enjoyed! You must enjoy the fried chicken with iced cold draft beer! Oh yes!!! You can choose from sprinkles or saucy ones ~~ I must mention that their snacks/nibbles are really addictive while waiting for the fried chicken to arrive. BHC has plenty of branches around Seoul so they will be easy to find! I went to the one in Dongdaemun because it’s near my airbnb apartment! Just google map for the closest one to you – they are everywhere! The Charcoal fried chicken is served with sweet potato chips and they also have quite a selection of craft beers to match with their artisan style fried chicken. I do have to mention that their fried chicken is greasier than the usual but I did enjoy the slightly unique variation to the classic Korean fried chicken and beer here. Their location is near Ehwa’s Women University shopping street which is a secret favourite of my wife to shop for clothes and accessories – so you can go here before or after! Careful not to go to the other branch in Hannam-Gu which is one hour away by subway! Korean rice cakes (Tteokbokki) is a soft chewy rice cake cooked in a thick Korean chili paste sauce (gochujang). There are several famous Tteobokki stalls such as the famous Mukshidonna Tteokbokki and JAWS Tteokbokki with branches all around Seoul, or you can just eat at my favourite Gwangjang market. I’ll like to recommend a favourite place of my travel blogging friend Aroimakmak who introduced me to this spot just at Myeong-dong underground shopping street. It’s actually called Manna (which means money I think) and you will see currencies from around the world on their walls! Since it’s conveniently located – you can sit down and eat before or after a long day’s walk around Myeong-dong. I had my first taste of Jjangmyeon in Brisbane, Australia and I could never find anything as good as that anywhere else. This black sauce noodles have strong Chinese influence and is normally enjoyed with Tangsuyuk (sweet and sour pork) as the perfect combo! When I came to Seoul, my mission was to find good Jjangmyeon and I visited a few recommended places like the famous Gaehwa and Gimgane but I wasn’t overly impressed. Fortunately for me, my wife used to study in Seoul for 6 months and took me to her favourite Jjangmyeon near her university ~ and I think that’s one of the best places for Jjangmyeon. When my wife brought me to this place, I noticed that it was packed with Koreans and they don’t have English on the menu, so we ordered by pointing at the pictures! It is located on top of a skincare clinic Sook Myung Women University Station. The restaurant name is Jeong or Qing in Mandarin and they specialize in Chinese Cuisine. They are on the 2nd floor and once you see this sign you know you are at the right place. Now this is what I call a good Jjangmyeon that satisfied my cravings! The Tang Su Yuk is really good here too ~~ matching the Jjangmyeon really well! I must really thank my wife for taking me to her favourite Jjangmyeon spot and also Ashley for translating the address for me! Sundubu Jjigae is one of my wife’s favourite dish – Korean style tofu stew with or without kimchi, usually with vegetables and meat, sometimes with cheese and sausages added into it. I have tried more than 5 Sundubu Jjigae places recommended by websites but they were not as good as Hama Food or Hippo Food restaurant’s version. This is actually a personal favourite of my wife during her uni days in Seoul and I have to agree with her tastebuds. The good thing is that when you eat here, you can also eat at Jeong restaurant, as well as shop nearby the university which tends to be cheaper than tourist sites like Myeong-dong. As you can see – this place is actually located in the basement floor and is quite popular amongst university students – affordable and delicious! Perfect! The purple rice and the side dishes ~~ yum! The food is seriously down to earth delicious here. I have to thank Ashley and May Lin for helping me find the English address of this place! This is a hidden gem that I would love you to try! There’s also another famous one called Jaedong Soondubu that I’ve on my list but didn’t get to try so I will list this here for your convenience in case you are nearby. Purists would say Korean Dumplings are called Mandu – but the famous Korean Dumplings place in Myeong-dong is called Myeongdong Kyoja (which is technically Gyoza or Jiaozi) but they don’t resemble Gyozas in Japan. Myeongdong Kyoja is the most popular restaurant when one visits Seoul. Throngs of tourists flock this area and you normally would need to queue so I advise you to go during non-peak hours or risk queueing for a long time! They specialize in Kalgutsu knife cut noodles in soup with Kyoja (kinda like potstickers or gyoza), steamed mandu, bibim guksu (spicy noodles), and kongguksu (noodles in cold soybean soup). The main reason Myeongdong Kyoja is in my list is because they have the most delicious kimchi! I will come back here just to have their kimchi alone! So goood! Their Mandu looks beautiful and reminds me of steamed xiao long bao – but of course these are stuffed with meat. Pretty good but I’ll have to say I prefer the next place I am sharing. For better Mandu, I recommend going to Gaeseong Mandu Koong at Insadong which has a 75 year history and is started by a mother and daughter family business. Their Mandu is better tasting in my opinion but Myeongdong Kyoja has yummier kimchi (according to my taste). You can probably skip the pajeon (Korean Pancake) as it as not fantastic. It is interesting to watch them make Mandu live from the window, and also kimchi making on Tuesdays, Thursdays and Fridays. Look at the size of that dumpling! YUM! You can order a huge hotpot (kimchi or normal soup) with mandu if there’s a big group which I feel is a better dining experience for me. These rice balls are pretty nice too. Be sure to come slightly earlier than opening hours to avoid the long queue ~~ around 11:30am. I had tried quite a few disappointing Korean pancakes/Pajeon in a few restaurants in Seoul, as they probably have these pancakes because its a popular Korean dish. Thankfully – there’s a place that specializes in Pajeon and the best part is that it’s one of the most affordable meals we had in Seoul too (provided you don’t go overboard on the Makgeoli rice wine). During winter, the floors are heated so sitting down Korean style is welcome. You might meet a rowdy and loud table of Korean guys having a great time and lots of makgeoli bottles beside them! This could be your chance to catch your handsome Oppa if you are single! LOL! You will also notice quite a lot of grafitti on the walls – its too bad I don’t understand Korean! You will also notice the bottles on the floor (belongs to the group of Korean guys next to us). 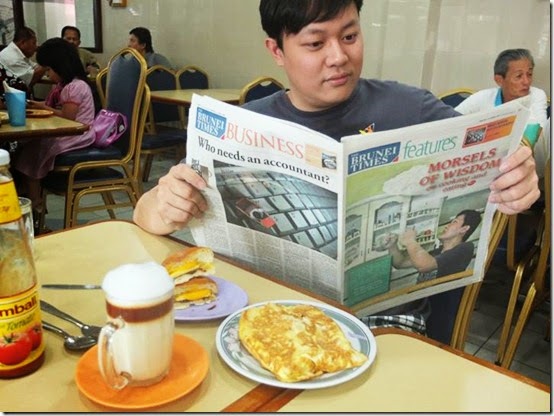 Oh btw – there’s no English or Chinese menu nor do they speak any English or Chinese – I was trying to order octopus pancake and did a silly octopus dance which made the owner wonder what the hell I was doing until my wife showed them a picture of an octopus on her phone! LOL. Silly me ~~ sign language failed! Dakgalbi originagted from Chun Cheon in the 1960s then spread throughout the whole of Korea because it’s a cheap affordable eat back in the days. It’s basically Korean Spicy Paste marinated chicken with cabbage and tteok (rice cakes) then you will cook them on a sizzling hot plate on your own table while you can get side dishes (banchan) at their self service counters. You have the option of adding cheese and also order other types of meat in certain restaurants. People sometimes add plain rice or noodles as well to the mix while cooking to enhance the experience! Mmmm cheese strings flavoured by the spicy Korean paste ~~ mmm ~~~ on hindsight I should had ordered more cheese to make it even better!! I didn’t get to visit the famous Chuncheonjip Dakgalbi Makguksu but you can check that out as well to compare. Now if you are in Seoul, you will definitely grab a tour to Nami Island – and right there is a very good Dakgalbi place that is halal called Kko Kko Chuncheon Dakgalbi. This place might be far from town and hard to reach but the good news is that you can kill two birds with one stone by coming here either for lunch or dinner during your Nami Island tour! The good thing about this place is their delicious side dishes. We enjoyed the Dakgalbi here very much and highly recommend it if you visit Nami Island! Just along the road with other restaurants before you take the ferry to Nami Island. Speaking of cheesy dishes, I saw a video of this before I went to Seoul and this was definitely something I want to try. If you love ribs and cheese – you will enjoy this very much! Be ready to get your hands dirty as you wrap cheese around these delicious BBQ ribs ~~ OMG! They have branches in Hongdae and Dongdaemun too if I am not mistaken! There’s a choice between normal or dark chicken ~~~ I personally preferred the dark chicken, which is meant to be more nutritious! You can actually pay more to add an extra dose of ginseng kick to your soup for extra flavour and health benefits!! This is a really heart warming meal and I really enjoyed this very much! What I love about this place is that unlike most tourist traps, there’s no minimum orders so you can actually share your Samgyetang! 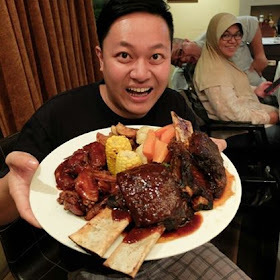 This is good especially for me since I like to food hunt and eat up to 7 places daily so both my wife and I sharing one portion is just the right amount. The Koreans seriously have their porridge spot on – it’s creamy while having whole grains of the rice tact, flavoured well with healthy natural and luxury ingredients. I dare say Korean porridge is my fav style of porridge! Bonjuk is the popular choice when it comes to having Korean porridge and they have quite a number of branches around Seoul. I went for the seaweed and oyster porridge which was really yummy! The beef bone and dried pollack porridge is packed with flavour and very good too! We haven’t tried the spicy seafood porridge as well as the sweet red bean or pumpkin dessert porridge which my friends tried and loved ~~ so there’s quite a lot of choice for you! Find Bonjuk on Google Map – they have 296 branches all over Seoul! If you want something less commercialized and more down to earth, you must try out Juk Hyang which means Porridge Village. The owner herself is a nutritionist apparently and uses natural ingredients as much as possible. I quite like the side dishes here and while they have less choices than bonjuk – the overall quality of the porridge is better here. It’s located on the 2nd floor and around Insadong near all the tea houses. Ambience is very down to earth like your home ~~ they have chairs and also Korean style squat seating. I feel much better trying the abalone porridge here and I’m assured of the quality. Yum! Gotta love oysters! This is oyster and mushroom porridge! So yummy! I would definitely come back to Juk Hyang again to try the other different types of porridge again! You can tell that the meat is pretty juicy here ~~ cooked to perfection and I need to mention that it’s not overly seasoned like typical Chinese pork leg – very nice indeed! Ooo the side dishes such as this soup is so heartwarming! Enjoy your sliced porky goodness with a mix of the ingredients wrapped inside lettuce and nom! SOOOO GOOOD! OMG! This place is very near Gyeongbokgung station exit 4 – making it a good place to eat after visiting the famous Gyeongbokgung! Face it – when you are braving a cold negative 10 degrees Celcius winter – a hot sizzling pot of soup is the most welcoming sight of all. When my Korean friend introduced me to Haejangguk also known as Hangover soup called The Real Haejangguk, which was open for 35 years already – I was very excited to know that it opens 24 hours a day and it is near my airbnb apartment in Dongdaemun! They say this is a soup to cure hangovers so it must be a very nutritious soup! You will see that they have two types of delicious Kimchi here ~~ the cabbage and the cubed raddish type … Kimchi is pretty good here so thats a good sign of thing to come! There’s also spicy paste to heat you up! You can choose either shredded beef or beef ribs. Personally I like just having shredded beef as its easier to eat! The soup is SUPER AWESOME and we enjoyed every slurpalicious moment ~~ not sure if the harsh winter weather made this super delicious but I personally ate here three times during my trip in Seoul! There’s just something about the broth and the delicious shredded tender goodness that makes you come back again and again! This is the beef ribs version and it’s more expensive but I find that the normal shredded beef version is good enough! Only go for this if you super love biting on the boney parts of the beef ribs. It is in one of the alleys just behind the famous APM in Dongdaemun – not too difficult to find. This is the restaurant. I personally enjoy Isaac Toast very much and I have it for breakfast and also supper (in the Dongdaemun branch which opens till late). There’s just something about their simple sandwich that makes them so damn delicious. I think it has to be lots of butter on your toast – the Korean pickles and sauce that gives a good harmony between the sandwich, meat and cheese ~~ They are everywhere so just google map the nearest one to you! If you want to sample North Korean style cold noodles – PyeongRaeOk which was opened since the 1950s is the place to go. The problem with this place is that they don’t speak English and no English menu as well so we merely pointed here and there to order! We ordered their naengmyeon cold noodle and hand made dumplings. Initially I thought the broth was beef or pork as I noticed it’s dark meat but as I taste it I realized it’s the better part of the chicken ~ the slighter darker meat. The chilled soup was very good indeed! We also ordered their hand made mandus and it was pretty good too. Note: We didn’t get to order their famous chogyetang, cold soup noodles in a big glass bowl with stewed chicken, cucumbers, pear and cabbage which will also give you their famous side dish chicken muchim, a sweet and spicy well seasoned shredded chicken! I will definitely come back here to order this again – note that the Chogyetang is enough for TWO persons as it’s a big portion! I’ve read about and have been recommended by friends to try out Miss Lee cafe to check out the Korean Lunchbox called Dosirak. It’s basically a metal box filled with rice, meat and kimchi, with an egg. The key is to actually close the lid and shake hard to mix it well. Dosirak is like an old school lunch box for kids. I also try out their odeng with tteobokki stew. Overall I think the food here is something you try once just for the experience but you wouldn’t crave for it. Experience wise is unique but taste wise it’s forgettable. Still – it’s something I would recommend to try just to get a feel of it. Though I did read that their desserts like bingsus and Korean style cakes are lovely so you can check them out too. For me the main reason to come here would be their ambience which makes it a place to take some nice photo mementos to bring home from your Seoul trip. They have quite a number of branches but I went to the Insadong branch. Tongin Market dates back to June 1941, as a public market set up for Japanese residents during the Japanese occupation. Today, Tongin Market consists of 75 stores, most of which are restaurants and grocery stores forming a special Dosirak (Korean Lunch Box) themed market, which you can buy special coins to pay for the food and add them to your lunch box! It's fun walking around looking for what to buy to put in your Dosirak while paying with the old school looking coins! There’s quite a lot of choices here and my advice is not to buy anything first – walk at least one round to see what you like – then buy all the food in one go so your food doesn’t get cold because you took your sweet time browsing! Stalls that have this sign will accept the special coins as well as cash. The other stores without the sign will usually just take cash. If you ask me what’s the most delicious crabs I’ve eaten in my life – my answer would be Ganjang Gaejang! Raw marinated crabs from Jinmi Sikdang hands down won me over. Jinmi actually means real flavour and what makes Jinmi the best is that their marinades are not as salty and freshness guaranteed! If you have unpleasant experiences of having that fishy smell or taste when you eat in other places – it means its not as fresh! While Jinmi might be expensive – around USD38 per person – it is highly recommended and if you missed out – it is a #foodcrime. The crab flavours are intense and it’s actually easier to eat than cooked ones as the meat and shell is still soft, making it an enjoyable experience unique only to Ganjang Gaejang! The raw crab roe will give you a foodgasm ~ seriously! The side dishes (Banchan) accompanies the raw marinated crab very well! The crab soup is flavoursome and the porridge that comes later ~~ you should scoop it onto the shell of the raw crab and eat it like its a bowl! OMG OMG OMG!! This is the grand finale of the meal ~~ seriously orgasmic! The place is not very big and you have to actually sit down and eat the traditional Korean way ~~ which makes it even better. Walls are also plastered with celebrities who dined here as well as newspapers and magazine write ups raving about the legendary Jinmi Sikdang! This is a Korean ice cream place that deserves a visit! Located at Hongdae, it is not only beautifully presented but the texture of the ice cream is very unique since its made from brown rice, and also made fresh daily! You will be able to enjoy it with a variety of side toppings so I chose the one with a bit of everything to enjoy. Very enjoyable and highly recommended. You’ll also be glad to know their ingredients are organic and paper cups are environmentally friendly. Despite its location in Hongdae, the nearest stations are Sangsu Station or Hapjeong station, you can still take a stroll from Hongiv University station exit 9 if you want to but it will be a long walk. Not a problem in Winter but in hot summers I’ll take the shortest route! I always love Haitaro chips and had bought them from Korean supermarkets but to have it freshly made is seriously orgasmic! They have a stall just along the same street as Sobok so be sure to drop by here afterwards! Sulbing has branches internationally and is one of the most popular Korean dessert places. My fav one is this shaved ice overloaded with strawberries and big slice of cheesecake ~~ YUM! Mmmm they really look too good to eat huh? You can go for something chocolaty too! Love something more nutty? They have it too! I quite like the toast here too ~~ sitting down and having ice during winter might sound crazy but its yummy so who cares!? LOL! Insadong street is famous for hipster creative arts as well as lots of small tea houses claiming to sell traditional Korean tea. This place is a photographers dream and many of these tea houses are great places for your OOTD but they might not serve you the best teas (at pretty expensive prices). I’ll recommend you these tea houses that usually have Korean guests. Gwicheon which means return to heaven is a tea house filled with history. It belongs to the wife of the famous poet Cheon Sangbyeong, who has now passed on to her niece. This tea house indeed pays homage to the late poet as you can see a wooden cabinet filled with poetry books, and paintings that the departed poet bought or received as gifts. You can bask in the history of this place and you might even bump into famous poets and writers here! I seriously love their handwritten menus and even has English for you to know what you are ordering! The owner takes great pride in the quality of the tea and desserts here and there’s quite a lot of choices! This is indeed a gem of a find and I must thank my Korean friend Ashley for bringing me to this place! Teas and desserts are very good here! It was fun looking around at their preserved delicacies to make teas and desserts ~~ all home made in the tea house by the current owner Mok Young Sun. Ooo gotta some some red bean dessert!! You might be surprised to hear that green tea is pretty popular in South Korea! O Sulloc Tea House originates from Jeju and they specialized in tea desserts and drinks. They also have quite a variety of green tea themed desserts like green tea cake roll and green tea tiramisu as their popular signatures. I also noticed they have green tea cold brew but I didn’t try. Its nice to have a cup of green tea latte from O’Sulloc. When it comes to Korean Tea Houses – one of the most popular places for young local Koreans to hang out is this modern style Korean Tea House called Twinkle Twinkle Tea House. It can be quite difficult to find but just look out for this sign board when you are searching for it. It should be on top of a staircase which will lead you to the 2nd floor. As you can see the place is pretty small but it’s a lovely quiet Korean Tea House. What’s interesting about this tea house is that there are many young couples here on dates and right next to our table was a couple – who we think were on the verge of breaking up – both of them just stared at each other quietly for almost half an hour while we were enjoying our tea, we can feel the intensity in the air and we sneak a peek from time to time. You can order assorted Korean sweet snacks to enjoy with your choice of Korean style teas such as Citron tea or Omija, but there’s a lot of choices! I have to say the snacks here are not bad but not as good as the previous tea house I tried. What we find most yummy was this baked Injeolmi which is actually baked Korean glutinous rice cakes ~~ a must try if you come to this tea house! In such a developed city like Seoul, there’s bound to be a strong cafe scene to satisfy a globalised nation of cafe hoppers! While there are many theme cafes – I’ll choose to focus on the ones with good coffee, cake or pastries. I’ll start with the ones with lots of branches first where you can see them everywhere you go – and if you happen to crave for any of them – google maps will show you the nearest branch! Ediya Coffee is a coffee chain based in South Korea and has more than 1000 outlets! My wife loves the chocolate mint drink here and I wish I could buy their mint syrup that they use in their hot chocolate drinks! Paris Baguette is well known internationally and some every dub them the Starbucks of Korea. With cute packaging and a great selection of French Korean pastries – they are super popular! Twosome Place is a coffee chain popular for their yummy desserts and made famous as Korean superstar Lee Min Ho was their model since 2014. Drop by any of their branches for a taste of their wide selection of cakes! Aroimakmak likes the coffee from PAIK especially their Iced Americanos – as well as their popular strawberry banana smoothie. PAIK is popular for being very affordable and their upsize offers very good value for money – making their rise to compete in the coffee chains market share. They now have branches internationally! Coffee Libre serves pretty good espresso as well as drip coffee and their mascot is the iconic American Movie character Nacho Libre. They have a few branches so be sure to google map your nearest location. I had a taste of their bad blood blend which was a pretty good cup of Americano. Serious coffee drinkers will enjoy it here. I love the ambience and Terarosa Coffee! 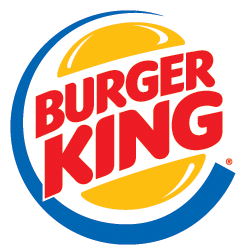 They originally started out as a coffee factory then ended up opening many branches all around South Korea. Their coffees are good but this particular branch in Gwanghamun is big enough to cater to big crowds – plus this is a great place for breakfast and brunch! My wife really enjoyed the ambience here and this place is good to sit down to have coffee or have a delicious brunch! They offer quite a variety of well balanced choices for brunch – you can walk around and see the food then take your pic. Kinda like a classy cafeteria with food beautifully presented like a hotel buffet spread and they will plate the food for you once you order. They also have an in house bakery to offer freshly baked pastries, breads and cakes! Cafe Mamas is an accidental find for us as we walked past this cafe and noticed quite a crowd for brunch! I googled them and found that they are quite highly rated amongst the locals and specializes in sandwiches! There’s quite a long queue waiting outside but fortunately we were able to get a table without waiting too long. Their takeover boxes reminds me of pizza boxes! Their sandwiches and salads looks rustic, down to earth but are damn delicious! Drop by here to check out a good selection of sandwiches! There are a few branches in Seoul actually so be sure to use Google to find the nearest one to you! Fritz Coffee Company is located in a traditional style Korean wooden house refurbished into a gorgeous cafe with the magnificent whiff of coffee and baked goodies once you step in! Fritz Coffee Company is know as the Avengers of the coffee Industry as they combine the top talents in South Korea comprising of the top coffee roasters, baristas and pastry chef! Their official mascot is really cute as well! Great packaging and branding! Some of the best looking croissants I have seen in Asia. I really love the pastry here! The works of pastry genius Heo Min-su! OH ….. MY….. GAWD ~~~~ SHUT UP AND TAKE MY WON! You have to come here for their coffee and pastries! Tailor Coffee is located in a pretty quiet street around Hongdae, away from the busy places packed with tourists – but this is a gem of a find as it is my wife’s favourite coffee place in Seoul. Coffee is really good here! A great gem in Hongdae! This place was actually packed with English speaking Koreans as you can hear them conversing in American slang English while enjoying their cups of coffee! My wife’s fav coffee place! Coffee Montage is a lil bit out of the way but it’s worth the time it took to get here as they serve my favourite cup of cappucino throughout my Seoul trip. A very minimalistic cafe which also roast their own coffee beans. There’s not much seating despite the amount of space here but most people come here for takeaways or buy their beans which shows their quality of coffee here. I came on a weekday during off peak times and it was a pleasure watching the serious barista make coffee. Seriously a good cup of cappuccino! Ahhhh how I miss this! Last but not least – in the metropolitan city of Seoul – you should at least try one or two fine dining establishment to complete your dining experience in Seoul. My two recommendations here are two of my favourite places in Seoul and you should definitely try it out if its within your budget – between 120 to 150 USD which is surprisingly affordable compared to other metropolitan cities. There’s a dress code in these establishments and I would suggest smart casual for such a special occasion anyways. It’s a classy place after all. Owner Chef Yim is regarded as a pioneer of modern Korean fine dining, Neo Korean Cuisine. His restaurant in New York itself has two Michelin stars while the Seoul restaurant has one star. Jungsik also ranked 20 in best restaurants in Asia. Eating here was quite a fun experience – allowing you to assemble the different components of the food in some dishes while at the same time – wowing your senses, gives you a new perspective on Korean cuisine. The Sea Urchin bibimbap was simply orgasmic and his Jeju crispy snapper was phenomenal! His reinvention of the apple pie is currently the best apple pie I've tasted in my life! If you could only try one fine dining in Seoul - Jungsik should be your first choice! Oh I have to mention their wine list is excellent too! Thumbs up and applause to my favourite dinner in Seoul. Thank you for taking a picture with me Chef Yim! One Michelin starred Mingles and ranked 15 on Asia's 50 Best Restaurants in 2017, is one of the fine dining establishments to try in Seoul. Chef Kang draws his influence from Japanese, Spanish and French culinary culture to fuse with his Korean roots. The chef’s use of traditional fermented condiments and vinegar-'jang' and 'cho' in his dishes and even dessert showcases his passion to showcase Korean cuisine in the international fine dining scene making it one of the must try fine dining establishments in Seoul. His use of Doen Jang, Gan Jang and Gochu Jang in his Jang-Trio dessert is a work of a genius – beautifully presented and really delicious! That’s all the must try places when you visit Seoul! Thank you for reading my guide and I hope this has been helpful in your Seoul Searching Trip Planning! I will definitely update this guide again when I visit Seoul in the near future! There’s still so much more to eat and explore in Seoul!